With his own pick-up truck and $800 that he borrowed from a family friend, Benson Green set out to start his own heating and air conditioning company. That was in 1981. 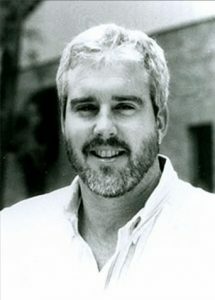 Nearly three decades later, Green is president of Benson’s Heating and Air Conditioning, one of the most successful heating and air conditioning companies in the area as evidenced by the size of the company and the local awards it continues to win each year for customer service and notable business practices. When asked how he was able to grow his businesses from a one man operation to a company with over ninety employees, Green reflects on the two principal factors that he views as the foundation of his business. First and foremost he said, “All of us at Benson’s treat each other and our customer’s the way that we want to be treated. 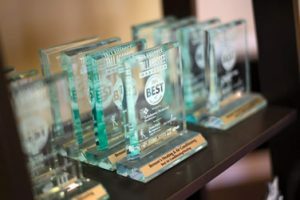 Believing in this philosophy is an important character quality we look for when we hire a new employee and it is something we constantly emphasize in all of our training and communicating.” Second and simply put, “Success follows an emphasis on quality,” said Green. He believes these factors are the foundation of his growing business and are the reason why most of his customers who believed in him back in the early 1980’s are still a part of his loyal customer base. 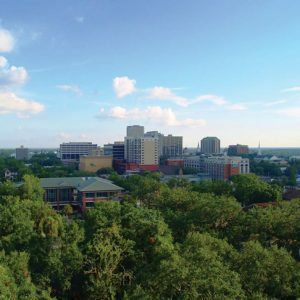 Benson Green has deep roots in the Tallahassee area. His grandfather Ray Green, Sr. was first, Florida’s Comptroller and then the president of a local community bank in Tallahassee. His father Ray Green, Jr. was director of the physical plant at Florida State University for over 30 years. Through one of his connections, Benson Green’s father helped him land a part-time job in the air conditioning business when he was only in 10th grade. “Once I started in the business, I loved it. I decided that rather than attend college, I would spend the years I would have spent in school learning this business,” said Green. After he graduated from high school, Green worked for several different heating and air conditioning companies to learn the skills he would need to eventually open his own company. In 1981, Benson Green decided it was time to strike out on his own. To get started he made an appointment with his grandfather, who was then president of a bank. He explained what his goals were and asked for a $5,000 bank loan. His grandfather turned down his request. Still determined, Green, sat down with his Godfather, formed a business plan and borrowed $800, which he was able to pay back in a month. During his first year working alone, Green recalls grossing about $60,000. One of the ways he was able to do this was by creating a very simple yet effective direct mail marketing letter. “I typed up a personal letter explaining the business I had started and then passed them out to my friends and relatives and asked for their help to personally give these letters to their friends and family,” said Green. From the original stack of 30 letters he passed out, he estimates that hundreds were copied and passed on. Looking back, Green believes this was the most memorable marketing campaign he has ever had because it capitalized on the relationships the Tallahassee native had. He is eternally grateful for the help he accepted from his family and friends when he was first starting out. 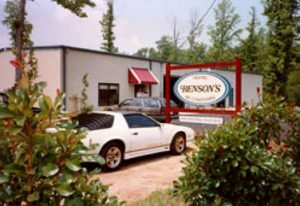 Sheer determination, the support of his friends and family, and a solid work ethic instilled in him by his parents propelled Benson’s Heating and Air Conditioning into the community as a viable option for consumers’ heating and air conditioning needs. Initially, Green focused only on repairs and service but soon thereafter he was able to offer replacement of air conditioning equipment in homes followed by new residential installations and then commercial new installations. As his customer base grew he knew his gamble had paid off. His business was going to be successful. During his first year in business, Green was on-call 24 hours a day, seven days a week. He eagerly welcomed the first few employees he was able to hire after only a few short years in business. After that, “I started hiring five or six new employees a year,” Green said. As he looks back, Green said he has been fortunate to grow every year he’s been in business. Some years more rapidly than others, but through them all he has emphasized quality and customer service. “I believe if you give people what they deserve, then hopefully you will never have an unhappy customer,” he said. Green said he knows that “when we do a good job, our customer will tell 2 or 3 people and those people might tell 2 or 3 others. But when you do a bad job, that customer will tell 20 or 30 people.” To continually emphasize customer service and quality, Green bases his employee bonus system on these attributes and also has a 100% satisfaction guarantee policy for his customers. Benson Green said he believes success comes from hard work and thinking ahead. He attends training conferences and industry trade conventions to stay abreast of rapidly changing technology. “I focus on thinking of new products and services all the time because if we aren’t continually challenging ourselves we will become complacent and will not survive in this business,” said Green. 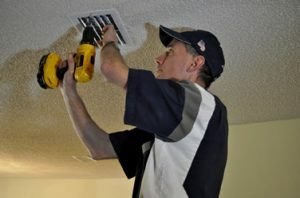 Most recently, he spoke at a National HVAC Convention where many participants complimented him on having the best presentation at the conference. Over the years he has forged relationships with many local contractors, which has helped tremendously in the rapid growth of his company. 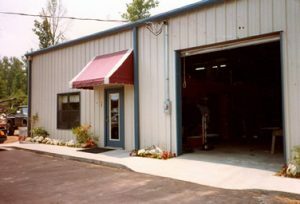 Just a decade after starting out with just himself and his truck, Green built a 15,000 square foot building on Tower Road where his office and warehouse now stands. He believes that making a good first impression is key to giving his company credibility with a new customer. From the person who answers the phone to the comfort consultant who is dispatched out to assist a customer, Green emphasizes good communication skills, customer service and a neat and clean personal appearance to all of his employees. “A first class attitude breeds a first class job. That’s why we have new trucks. I believe that if a person who works for me gets out of a clean new truck and he feels good because he’s wearing a clean new uniform shirt, he is going to do a first-class job,” said Green. Today, with a fleet of 43 trucks, 90 employees and continued growth each year, Green looks back fondly on his early years. “As I think back over the many seasons that have come and gone, I am amazed,” Green said. One of the greatest sources of satisfaction for Green is the ability his company now has to give back to the community that supported him and allowed his business to flourish. “Because of all that we’re able to achieve in our business here locally, its important for us to do our part to strengthen our community and positively impact the lives of the people here,” said Green. 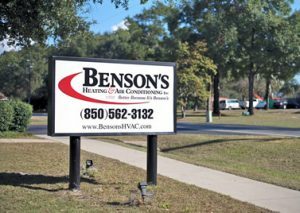 Benson’s donates thousands of dollars each year to many of the Tallahassee area’s charitable organizations and he encourages his employees to give back as well through donations or by volunteering their time. Green also believes strongly in being a good steward of the environment. Going “green”, conducting business responsibly, and continually looking for ways to improve his corporate environmental impact are important to Green. One of the most creative ways Benson’s Heating and Air is giving back is though the “Benson’s Greenhouse Gas Offset Program.” Through the program, Green plants 2 long-leaf pine trees at a local forest preservation each time a new air conditioning system is installed in a home or business. 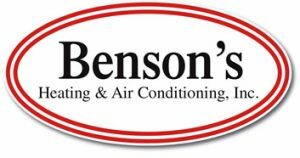 As far as the future of Benson’s Heating and Air, it’s full steam ahead for Benson Green. 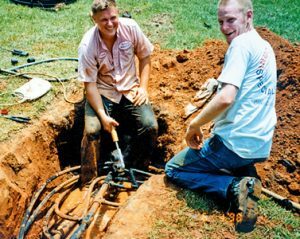 He takes great pride in the history of his company and looks forward to serving the Tallahassee area for many years to come. new air conditioning system is installed in a home or business.